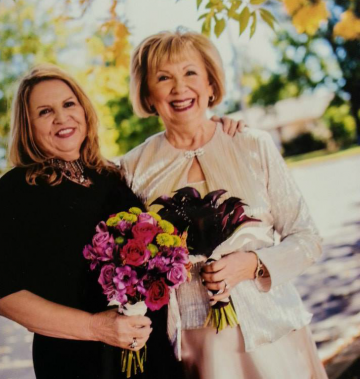 At Midwest City Weddings/Abundant Flowers, we are your one-stop location for all your bridal, formal events, and floral needs! Our versatile facility caters to your specific requests with pride and care. Whether you are in need of a wedding planner, tux, dj, venue, cake, photographer or flowers for any monumental occasion, we have what you're looking for. We strive to provide elegant formal wear that is both beautiful and affordable for any special event. Additionally our florists work closely with customers to create innovative and fresh floral arrangements for any occasion. If you're seeking beautiful formal attire or gorgeous flowers, stop by Abundant Flowers and let us proudly serve you! NEW: We have added a DJ Service. Now get the music you want and a light show for a reasonable price. Contact All-OutDJ.com at 405-313-3007 when you want to bring your event to life. We turn your event into an occassion to remember.. WEDDING PLANNER: Let us help with all your needs, we can take away alot of the stress by providing reasonably priced proven professionals for you special day. Our passion is providing beauty for your most special events and everyday life. 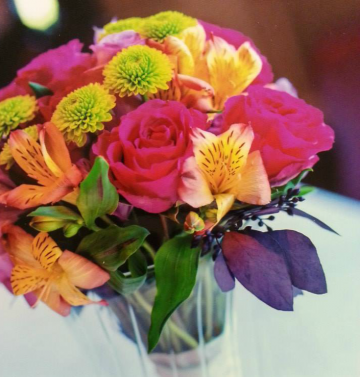 We love creating artful floral designs for any occasion including your wedding. We are also dedicated to helping you find great formal attire for a great price. Among our selection we offer wedding gowns for sale and tuxedos rentals. We create especially for our clients with attention to every detail to insure that each flower is perfectly rendered. We will decorate onsite for any event so that your floral creations are both high quality and secured. So if you're seeking beautiful work and great service, stop by Abundant Flowers today!